Pu’erh storage is a polarizing topic. This article is not intended to be a storage guide, nor an advertisement or critique of any particular storage methodology. The goal is to simply outline a few concepts and methods surrounding the complicated and controversial issue of pu’erh storage. Similar to how there is no single way in which the Chinese, Yunnanese, or Southeast Asians consume pu’erh, there is no obvious consensus when it comes to storage. This is all despite what vendors or other influencers directly involved with pu’erh might say. Toki/Tim (of Mandarin Tea) outlines two primary reasons for pu’erh storage, (a) to store the tea and (b) to to refine taste and develop the character of the tea. For those in category A, as long as you don’t follow any of the big mistakes (storing it with food or under light) and steadily drink your tea there’s not much point worrying about any of these storage schools. 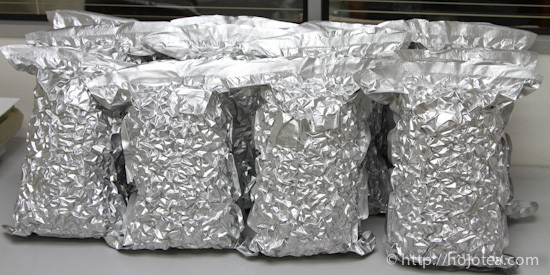 Simply seal your tea in a mylar bag or ziplock and it will maintain a similar profile for a few years. The controversy comes in category B where there are endless parameters such as how long the drinker wants to wait, taste, etc… Knowing storage and a few of the techniques is also extremely important for the purchase of pu’erh with any sort of age! The compression of pu’erh is an important aspect that significantly impacts the aging prospects of a tea. Highly compressed pu’erh (i.e. 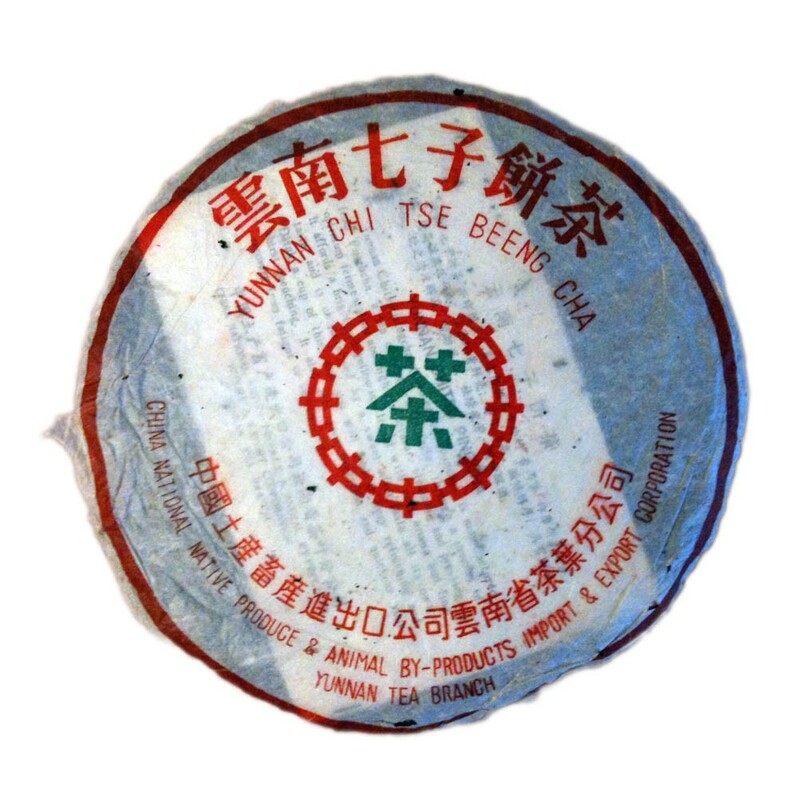 tiebing/iron cake) has less oxygen within it and will age slowly compared with more loosely compressed pu’erh (assuming identical conditions). One way to age pu’erh quickly without altering storage is to break up a cake or tuo almost back into maocha form. It will mature and ferment far more quickly than in its compressed form (this is also a fun, simple experiment!). Note #1: This is the reason, loose leaf pu’erh ages much more quickly than compressed pu’erh. Note #2: Some view pu’erhs compression’s primary purpose as slowing down the fermentation process. Chadao did a number of valuable perspectives on Pu’erh storage by people within the online tea community. Interestingly the discussion was initially triggered by an online article by Zhang Jinghong (Puer Ancient Caravans and Urban Chic). Posts iii, iv, and vi focus on other aspects besides storage itself. Perspectives on Storing and Aging Pu’erh Tea (i) – Includes a number of still-relevant members of the tea community: Stephane Erler (Teamasters), Toki (The Mandarin’s Tea Room), and Scott Wilson (Yunnan Sourcing). Perspectives (ii) – More on traditional storage. Includes Marshaln. Perspectives (v) – Some storage basics. This is heavily sourced from an extremely informative blog post by Marshaln. Please read it! This storage method is usually associated with Hong Kong. 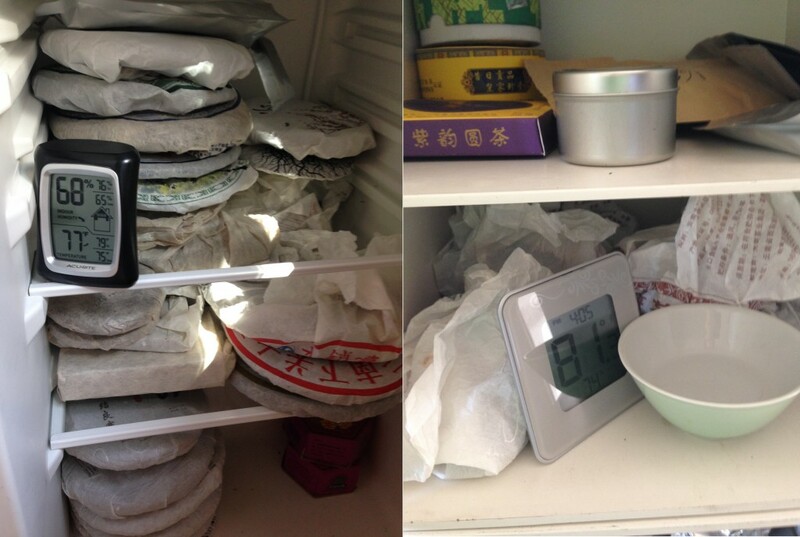 Traditional storage involves packing a ton of tea, usually by the jian (42 cakes) into a warehouse. The tea will initially be put into a ground storage unit. These storage units will be intentionally (but not artificially) high in humidity and temperature. These conditions result in the quick aging of the tea. After some time has passed, the tea is moved to a drier storage location. This give the tea a chance to rest and air out from the intense ground storage. The airing out can be compared to the airing out used for ripe pu’erh. Keeping the tea to space ratio high and rotating the teas are extremely important for proper execution. The massive amount of tea required for traditional storage makes it basically impossible to recreate at home. The risk of mold is also high and the exact timing and storage methodology is a highly-skilled process that is practiced by experienced Hong Kong/Southeast Asian vendors. Note #1: Sometimes this is described as wet storage (usually by those in drier climates). Note #2: You can have more heavily (wetter) traditionally-stored pu’erh and more lightly conducted storage. Note #3: Nearly all of the famous vintage pu’erh pre-88 Qing Beeng spent some time in traditional storage. Note #4: Traditional storage is an intentionally intense storage, as opposed to a vendor or hobbyist storing their cake in humid conditions. These are not the same type of storage, even though they are often lumped together as wet storage. Can be done by hobbyists? Not really and not easily. Logistically and technically extremely difficult. Where is it practiced? Primarily Hong Kong. Sometimes southeast Asia. Famous Teas? Most famous teas. Red Label, Blue Label, Yellow Label, etc. Where can it be acquired? 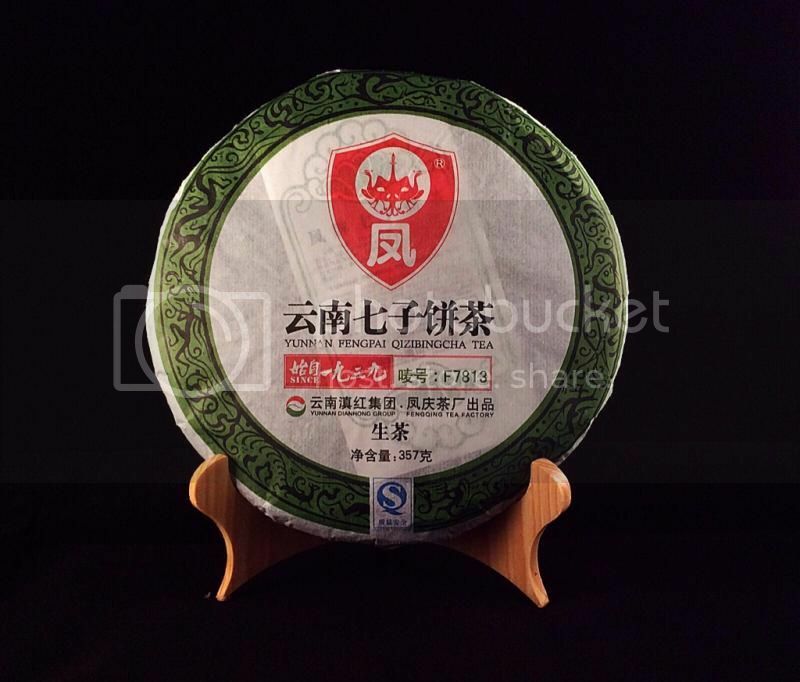 Hard to find online, many pu’erh vendors will occasionally sell stuff. HK-based vendors (Sun Sing, Best Tea House). Pu’erh Vintages. Red Mark, Yellow Mark. Source: Sun Sing. Thanks to the famous 88 Qing Beeng and a growing movement in the 1990s, a few new schools of storage began to catch on. The most famous case of this is several batches of 1989-1992 7542 (the 88 Qing Beeng) which were dryly stored in the otherwise hot and humid Hong Kong. The difference is that it was stored in as dry as possible conditions. Dry storage itself is a vague term and is usually paired with a location. The proper idea of humidity and temperature for dry storage will vary, usually falling somewhere between 60-70 relative humidity and 60-70 F. Drier stored teas will age more slowly and are a much longer-term game plan for those that engage it. Note #1: There is significant overlap between this method and home storage. Note #2: Dry-stored pu’erh is easy to buy in the west, primarily from Kunming-based vendors. Dry-stored in an otherwise humid environment. i.e. Hong Kong, Taiwan, Malaysia. This usually means the tea was kept out of traditional or more humid storage environments. The 88 Qing Beeng was dry HK Storage. Storage in a naturally dry environment. i.e. Kunming, Beijing, Los Angeles. In this case dry storage implies conditions closely aligned with the natural climate of the area. Can be done by hobbyists? Yes. Where is it practiced? Kunming, Beijing, North America, Europe (naturally dry climates). Hong Kong, Taiwan, Guangdong (naturally humid, deliberately drier conditions). Famous Teas? 88 Qing Beeng. Where can it be acquired? Nearly all western facing pu’erh vendors. 88 Qing Bing. Source: Essence of Tea. This is an extremely broad category and can entail anything from a couple cakes stored in a breezy hallway in Europe to a few tongs stored in ceramic clay jars in Australia. Old school pu’erh entailed well-fermented pu’erh and traditional storage; Hobbyists buying, owning and aging individual cakes was extremely rare. Modern-day pu’erh is more complicated and has opened up the door for home storage. Natural storage can be dry or wet storage depending on the locale. Note #1: It should also be noted that none of these broadly-drawn storage categories are necessarily mutually exclusive. Home storage can be categorized as wet or dry. Enclosed space/Pumidor – Humidity can be controlled with humidifier/dehumidifier/adding water. Depending on how intricate, this may or may not count as “natural storage”. Open-air (bookshelf) – The humidity will be the natural humidity in the air. Where is it practiced? Everywhere! Home Storage Setups. Source: Half-Dipper, Listening to Leaves. Sealed storage involves sealing pu’erh cakes/tongs in some fashion. As is the case for most storage categories, there can be huge variations in setups ranging from somewhat sealed to vacuum sealed. There are a couple different ways that this sort of storage can be considered. One other reason to seal tea is to preserve the tea (different from aging). The Driest Storage. Slower aging can lead to greater complexity (i.e. the 88 Qing Beeng). Storing tea in the driest possible way, is a way to push the limits on this idea. This could be why sealed storage has been popular in hot and humid locales like Malaysia. Aging as an internal process (source: Sponge metaphor, Kyarazen). A properly sealed sponge will maintain whatever water content it had before being sealed. Sealing a tea away removes the tea from the outside environment. Similarly, if a tea has the necessary amount of water content, it will neither gain nor lose that water content (it won’t dry out). This school of thought believes that the aging of a tea occurs without the aid of the environment but entirely internally. 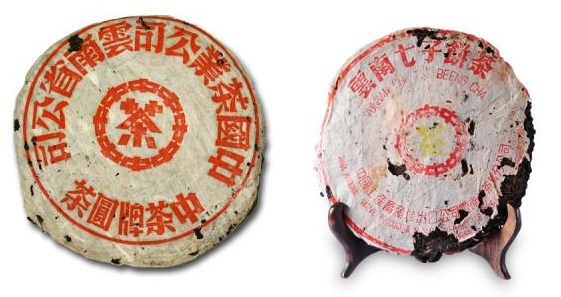 The simplest, most extreme version of sealing pu’erh is advocated by Hojo. This involves vacuum sealing pu’erh from the outside environment. Proponents of this method argue that pu’erh was originally compressed to control and reduce the oxygen content within the tea (in addition to transport). Modern technology now gives humans the power to vacuum seal and solve this issue elegantly and easily. Critics say that there will be no evolution of flavor and the tea will not age. This is mainly sealed but not quite as airtight as vacuum sealing. The result is that this will allow the tea to be slightly more affected by the environment than 100% sealed tea. This is a bit different, but is sometimes referred to as sealed storage. It generally involves sealing tea with something to give it additional humidity (i.e. a water source). This method is somewhat similar to a controlled pumidor and is popular in environments where it is too cold and dry to store teas more naturally (Beijing). Note #1: There is a significant overlap for sealed storage as most storage methods are at least partially sealed (i.e. pumidors, boxes, warehouses). Where is it practiced? Can be done anywhere. Sealed Pu’erh. Source: Hojo Tea. This entry was posted in Aged Pu'erh, Article, Raw Pu'erh and tagged Best Tea House, Cha Wang Shop, Sun Sing Tea, White2Tea, Yunnan Sourcing. Bookmark the permalink. Thanks again James. Count me in the single Ziploc bag group. As a puer newbie living in a relatively cold/dry climate, I am primarily looking to maintain what I have in my modest (but growing) collection. If they morph into something better before I drink it all then that’s just a bonus. Thanks for the comment Richard! I think a ziploc is a pretty decent way to get started. It can allow you to buy and sample tea before you get your storage situation totally figured out or simply preserve the tea as long as possible. One quick note: 88 Qing Bing is from ’89 to ’92, and most are early nineties. Beijing is flat out not a suitable climate for unassisted dry storage, both because of cold and desert-like lack of humidity. Thanks for the note! That must’ve slipped my memory while writing this. Correction has been made. Personally, aging is a separate question from fermentation. Which is why I talk age and “browning” as different things. The most valuable things that people desire from aged puerh are not closely aligned to how dark and fermented it tastes. Fermentation is definitely part of the process, but the more, the better, rounds off lots quicker than some might think. To me, the movement towards dry storage and gushu is very closely aligned, and “gushu” is a bigger driver of the process towards dry storage than 88 QB. Zhenchunyahao and ’99 Yiwus are more important. People have ready access to dry and wet versions of ’99 teas and it goes from there. The higher the base quality of the leaves, the less you need to ferment it to make it drinkable. Which separates people who really like the fermented taste and ease of very brown tea from people who wants easy to drink tea. Thanks for the comment! That’s an interesting perspective that I hadn’t totally considered. I think I understand the logic behind wanting gushu to be dryer-stored. A couple questions. Can you clarify what exactly you mean by browning? I was presuming this meant fermented. How do cakes like Red Mark, Blue Mark, Yellow Mark fit into this model? Presumably the base material was quite good, but from what I’ve read they weren’t particularly pleasant when young. Only a short while ago I came across your website from the TeaChat. Just like many other articles here, this one is eye opening for me who only started drinking pu-erh some 4 years ago. I stock my mini-cakes of raw-puehr in a large officed drawer which I open during the day to air out. It will take me a while to get those fairly new teas, mostly 2011-2012 to drinkable state as the humidity in the office is around 40% relative and temperatures of around 23 – 24 degrees C.
Please keep up with the excellent work you are doing here. Thanks for the comment and sharing your storage! Those humidity numbers sound low for long-term storage although it is hard to say what the RH of the cabinet is when it is closed. A fine introduction to an aspect of puer that probably doesn’t get as much press as it should. Many thanks for giving me the basics of this topic! Thanks Peter, I’m glad you found it useful! Based in U.K right now my humidity reads 56% with temp 22c at home with fluctuations over the year. I have had a raw tong here for 6 years, unpleasant when bought it’s now browned off and bitterness tailed right down with a lovely citric / pine note coming through. Even though outside is supposed to be 84% it’s so low in here! Thanks for the comment! Glad to hear you’ve been happy with your tea’s evolution. What was the tong of? UK storage seems to be its own special beast. It seems like Hobbes (Half-Dipper) has been pretty satisfied with a good chunk of his cakes. Twas a Feng Qing F7813, 2007 fairly tippy cake of high compression bought from HK. Good results (maybe not rapid) from an iron cake after 6 years of home storage here can’t be bad! Glad to hear Hobbes has had success also, I did try to find info on this from his blog but it’s so vast! I recently got in touch with David (essence of tea) and asked how he found the aging of cakes here. I hope he doesn’t mind me quoting his response but I feel it would benefit this post. I would say in line with my experiences thus far. Cool! If a high-compression iron cake can age well in the UK that does seem like a good sign. I wonder how much more quickly loosely compressed pu’erh would age out there. You can find the most relevant posts on Hobbes’ UK-Storage here on his musings page. He’s got a few posts on English Storage and one on five-year old teas as well that might be particularly interesting. Thanks for sharing David’s thoughts as well! Feng Qing seems to have specialized more in black tea in recent years, though they still make a few puerh cakes. This could be why you don’t see altogether too many cakes from them. They are now part of Yunnan Dianhong Group. I don’t know if their position within the group led to more black tea production,or if their location in Lincang put them behind the market trends favoring Dayi and the like. Yes, I also enjoy DH black tea, classic 58 is a great everyday blend for me. YS sell it along side a ripe and spring raw from Feng Qing. I bought it from ‘best tea house’ HK. I’m going there again in February. If I’m lucky I can find a HK stored 2007 FQ of same description to compare. Thanks for the heads up on Hobbes blog, it will make interesting reading! Mm. Sounds like a cool comparison and a good way to evaluate UK-Storage. Also to say on the loose side. Cool.. I’d expect even more dramatic changes, hopefully for the best! In for one if it comes with all the fancy metal stuff. 😉 Maybe you will get lucky to find another cake, but TwoDog2’s Tenet 3 comes to mind from his blog: if you find something you like, buy a lot of it at the time because it will be gone forever soon enough. Seems like FQ’s productions are small to start with, but. I wish you luck and with all the really great out there, I am sure a trip to HK will find you something just as good! Really great tea, that is! The metal stuff = electric cigarette gear. My previous passion before Pu happened. I have been collecting and drinking Pu’erh tea since late 90s. We can easily get aged and good Pu’erh tea here, in Malaysia. Is good to see some English speaking guys enjoy drinking Pu’erh tea. Thanks for the comment and kind words! Here in the west, most of us are relative beginners. The 90s seems like such a long-time ago, you must have some very tasty tea! Everyone says do not store raw with cooked….why? Thanks for the comment. The aromas can mix and match a bit if you store them together. Thanks a lot for your article. I have read it as well as some others but couldn’t find an answer to my problem. Maybe you could advise. I have a couple of Menghai 2010 V93 tuos, 2009 Menghai 7542 and some other ripes. Also some samples of both shu and sheng in paper pouches. All bought from Yunnan Sourcing in 2012/2014. Some of the tea is broken into ceramic canister, some are still in a compressed form. All are sitting in the cupboard in a salon. I hadn’t had an opportunity to drink them since the birth of my children in December 2013. Too much chaos :). And now that I have started again, the teas are not good. They have just lost any taste, entirely flat. My guess, after reading your info, would be that it happened due to dryness. I live in Netanya, Israel, where average humidity is above 60%, but with children, we keep heaters in winter and air-conditioning in summer, so I guess, the real humidity in the room is quite low. Is there anything to be done to revive those teas, or should I just throw them away? Also, I have ordered now new cakes from YS. How would you recommend to store them in my conditions? Should I shrink-wrap them? What about canisters? There’s good results, and there is great results. If you haven’t experienced a cake aging, let’s say three years, due to natural fluctuations in the environment tea likes (Malaysia, Yunnan, Hong Kong, Taiwan – which all fluctuate in varying ways), then you can’t be a good judge of how your aging process is going in comparison to ideal environments. You just have to have one wiff of a proper aging environment to conclude then and there that something superior is at work!